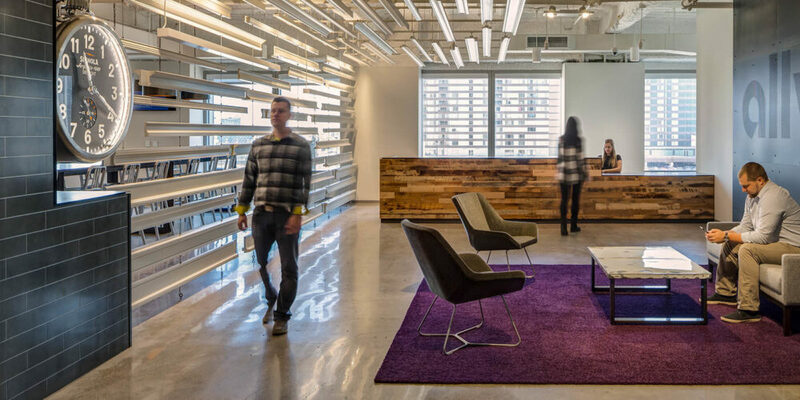 Ally Financial opened a new office space in downtown Detroit and sourced Móz to custom fabricate a unique metal wall-to-ceiling feature inspired by the city’s growing infrastructure. The new building, named the Ally Detroit Center, aimed to unite Ally’s southeast Michigan-based employees in one modern and collaborative work environment that reflected the city of Detroit. The new space occupies more than 1,500 Ally employees and 3rd party contractors on 13 floors. Each floor is designed in the style of a distinct neighborhood, with furniture, fixtures, and art installations that reflect the style of each area of the city. 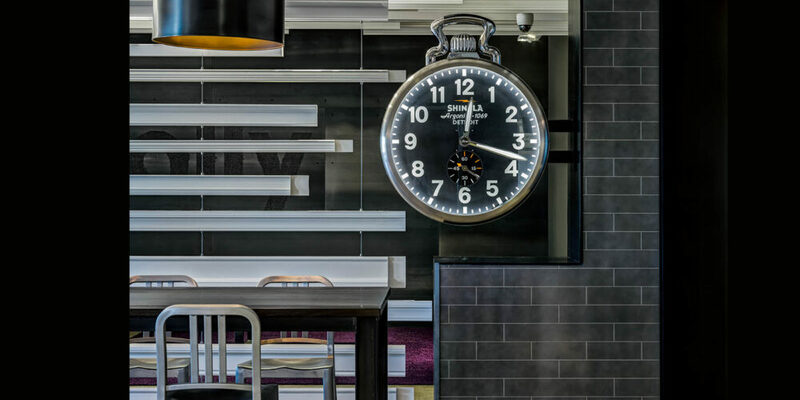 For the 9th floor of the Ally Detroit Center, architects at SmithGroupJJR designed an original downtown-inspired wall-to-ceiling feature using Móz’s Engravings Collection in Graphite and Light Graphite. Additionally, Móz cut and manufactured over 75 aluminum metal extensions that were hung in a Mason pattern to partition and decorate the office interior. 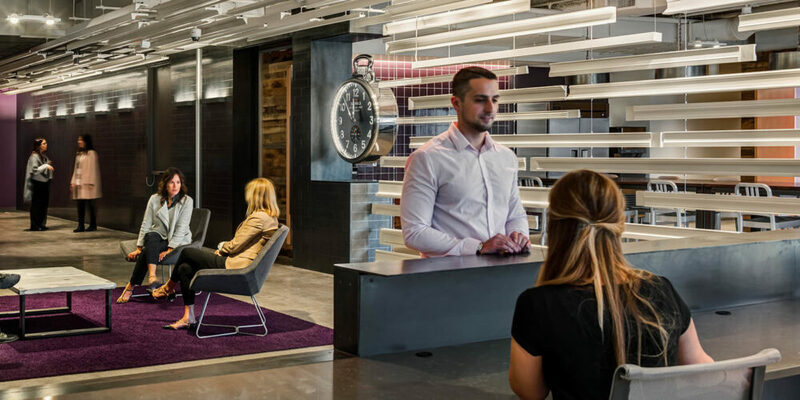 The metal wall-to-ceiling feature custom fabricated by Móz for Ally Financial took inspiration from the city of Detroit and paid homage to the growing infrastructure of high-rise buildings in the downtown area.